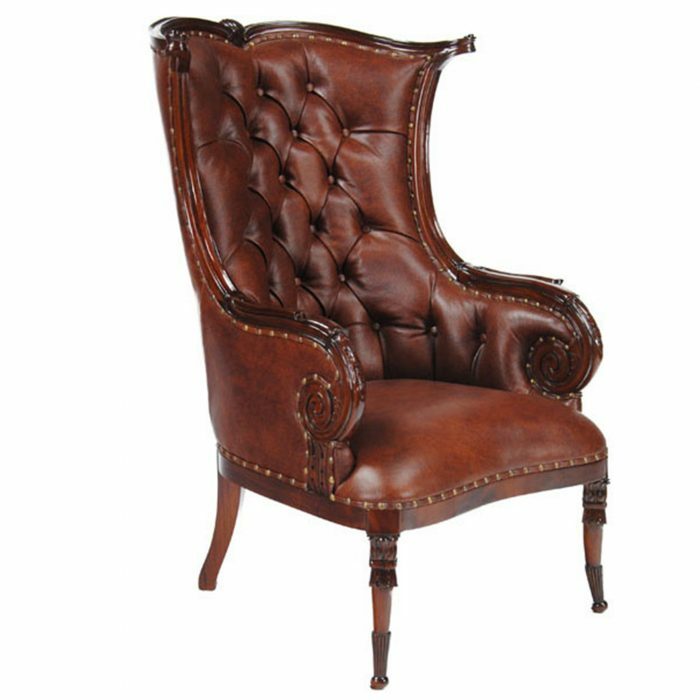 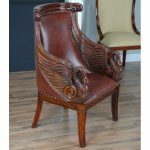 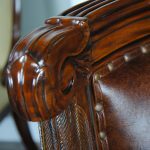 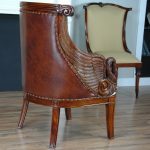 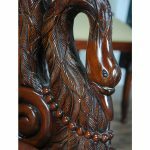 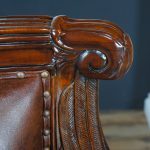 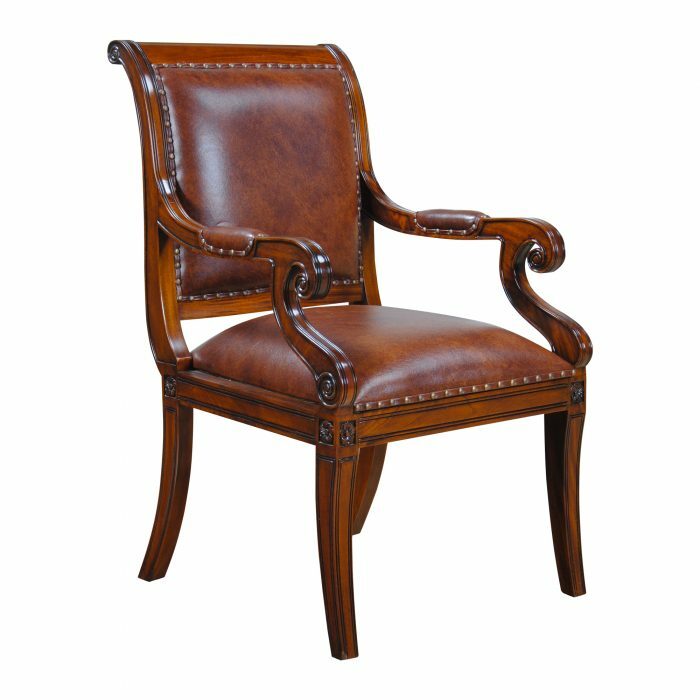 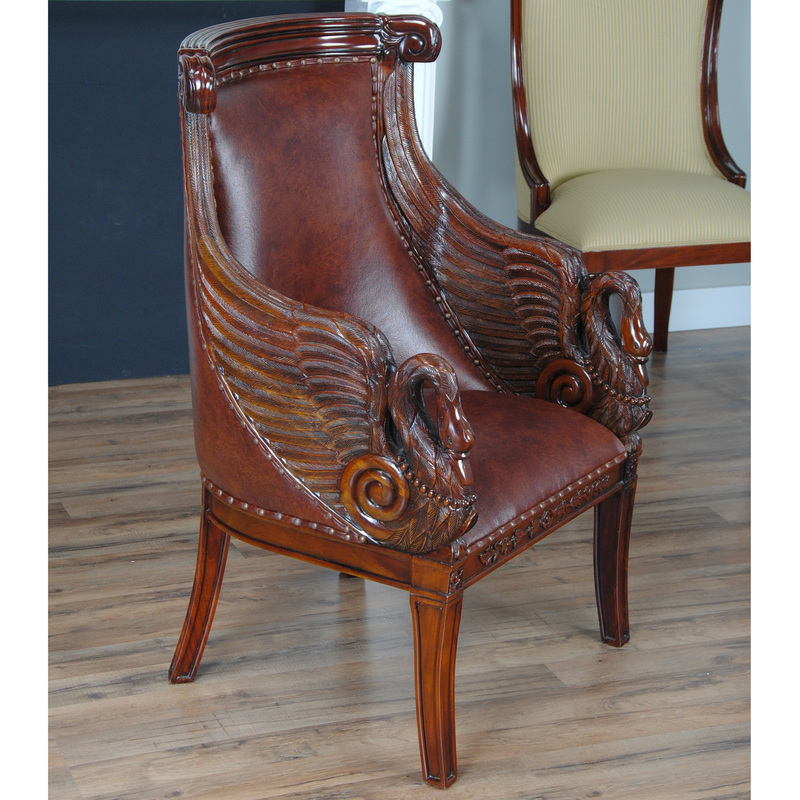 This high end Leather Swan Arm Chair from Niagara Furniture is impressive with solid mahogany hand carved details as well as the full grain genuine leather upholstery. 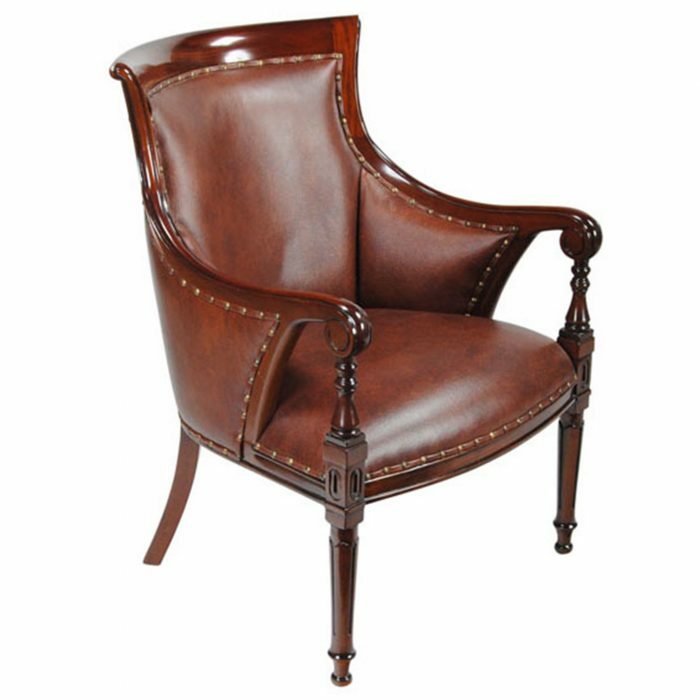 A great designer look with a solid and comfortable frame. 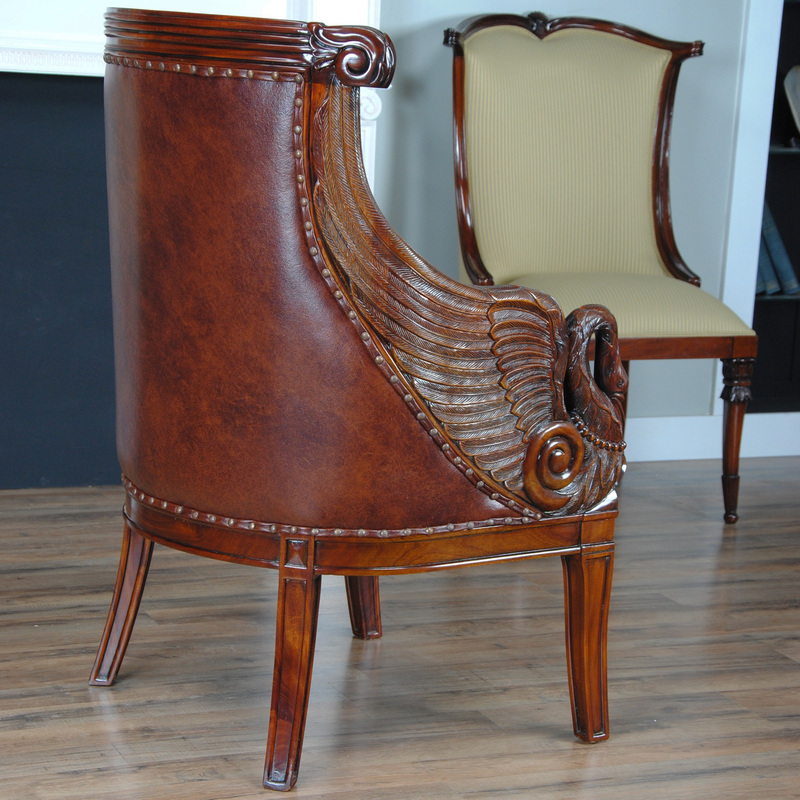 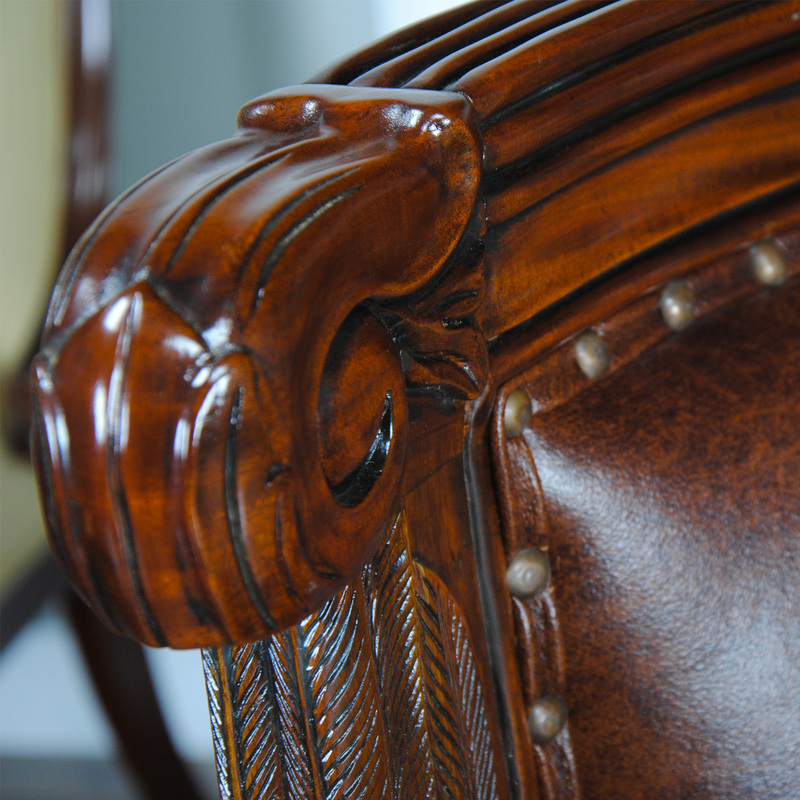 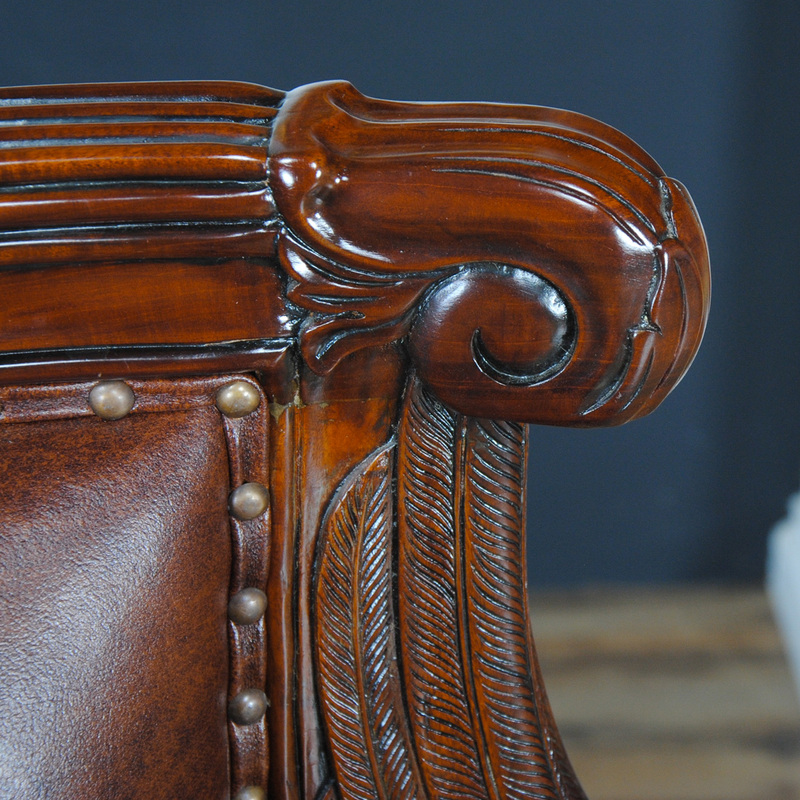 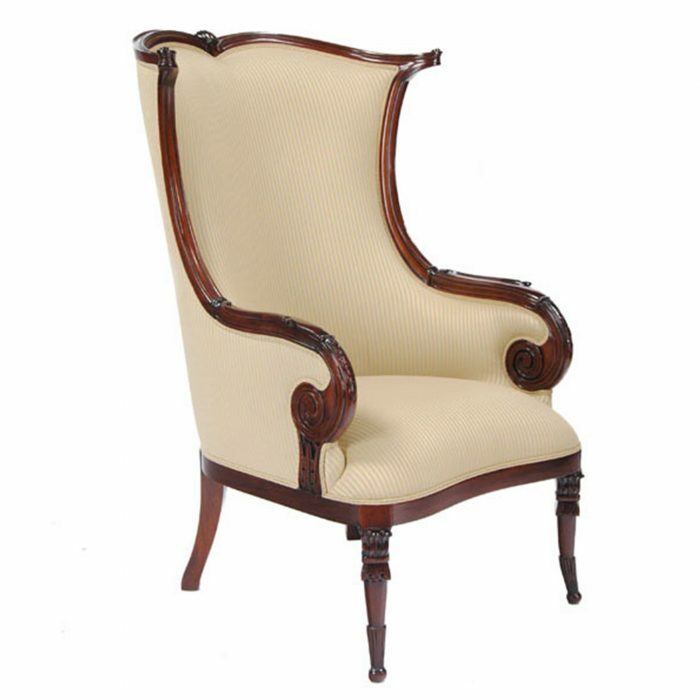 Inspired by an antique chair our Leather Swan Arm Chair is crisp in it’s details, nicely finished and ready to use. 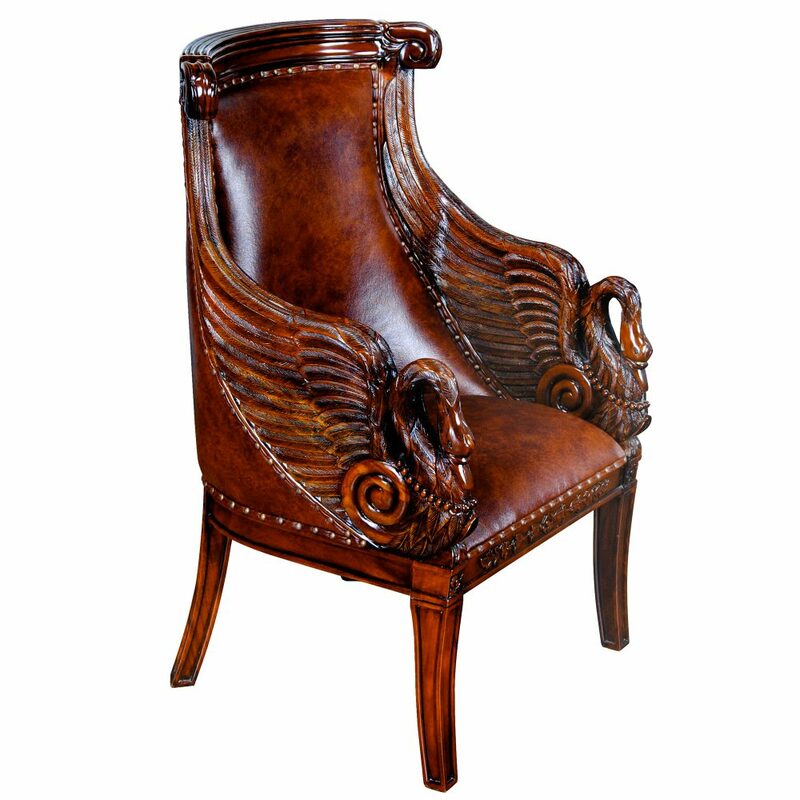 Arm height at top of the swan head approximately 28 inches and the seat height is approximately 20 inches.